All the important role players in the child custody system know how important it is for children to have their father’s involved in the lives. It is clear that children who have father positively and directly involved in their lives have fewer behavior problems, show higher levels of sociability, and perform better in school. The presumption is not longer that it best for the children to live with the mother. If a Texas father wants primary child custody in a divorce, he can make it happen. As a result of the continuing evolution of fathers’ rights, Courts are now recognizing a father’s ability to care for his children as an equal to that of the mother. Starting out on an equal plane, the Court may look to which parent is more stable, has a superior income, has a parenting plan in place for the child and is capable of providing proper child care and spending more quality time with the child. 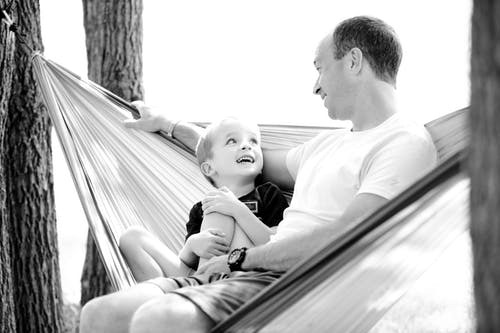 If a Texas father wants primary child custody in a divorce, he can make it happen. I represent a lot of fathers in child custody litigation and have a lot of success getting the father named as parent with whom the children primarily live. Based on my experienced, I strongly believe that if a Texas father wants primary child custody in a divorce, he can make it happen. So, based on my experience representing Texas fathers seeking primary custody of their children, I have seen a lot of ways a father can you increase your chances of getting child custody. The obvious starting point is that from Day 1, the father must be a good father and spend as much quality time with his children by involving himself in as many aspects of their daily lives as possible. What does being involved in their daily life look like? It starts with being to be responsible, responsive and reliable to the needs of their kids. A father must know and participate in all aspects of their lives. This includes school activities, doctor’s appointments, extracurricular events and getting to know and bonding with their friends. getting frustrated and/or acquiescing to unreasonable demands and orders. It is clear that children who have father positively and directly involved in their lives have fewer behavior problems, show higher levels of sociability, and perform better in school. The presumption is not longer that it best for the children to live with the mother. If a Texas father wants primary child custody in a divorce, he can make it happen. Facing this fight? You are not alone. A great deal of my practice is focused on helping Texas fathers learn what they must do to get primary child custody in a divorce. If want help facing this fight, call me. No charge for the initial consultation.